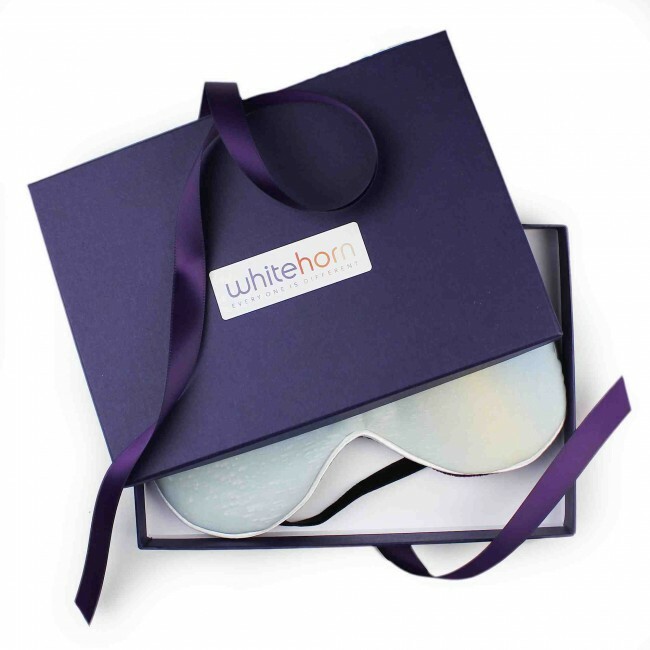 The Powder lavender scented eye mask is a mixture of powder blue and cream colours. 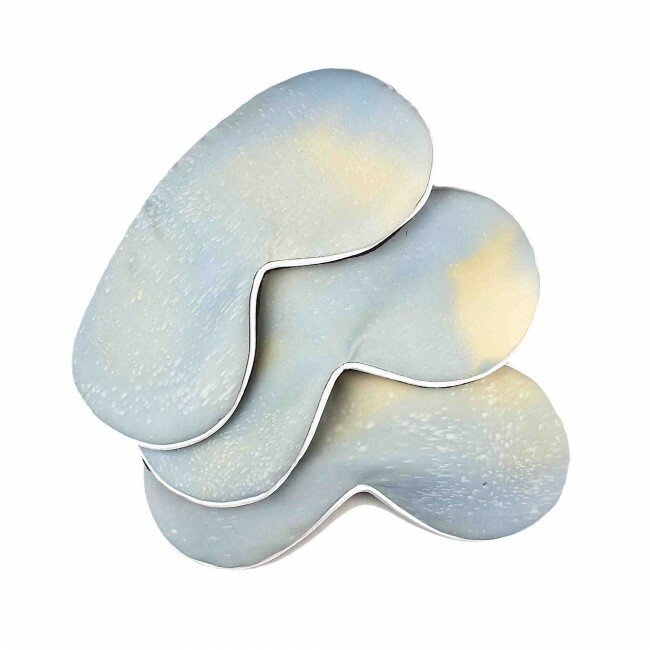 It is individually hand painted onto 100% silk and has an ivory satin trim. 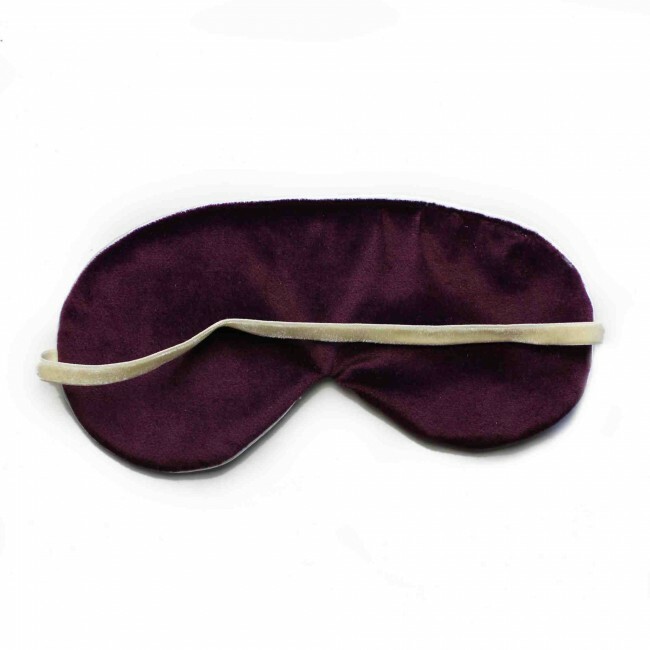 It is backed with a padded rich plum coloured velvet and filled with English lavender giving maximum comfort and relaxation. It has a black velvet elasticated band at the back. 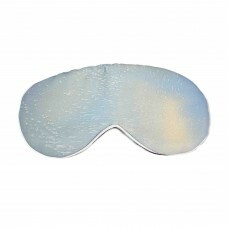 The eye mask is an unique item and will vary slightly from that shown in the photograph. They are packed with tissue paper and presented in a beautiful navy box tied with a coloured ribbon.